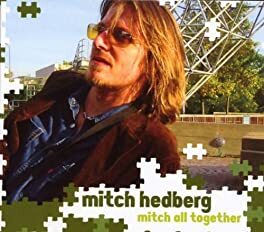 What would Mitch Hedberg say… about Obamacare? When you no longer allow insurance companies to factor in risk when pricing out their policies, and make them cover routine health care, then what they’re providing ceases to be insurance. They should now just call them ‘medical expense’ companies. Democrats froze the costs of Obamacare at $900 billion by tricking the CBO into evaluating the bill on six years of cost and ten years of revenue, postponing full implementation for the long-term goal of getting government control of one-sixth of the economy. Obama says IPAB is going to “reduce the rate of (Medicare) growth while not harming beneficiaries’ access to needed services”… which means it’s going to ration care. We still argue over how economic factors influenced the past, yet Congress takes seriously detailed claims about the future? The CBO’s predictions for 10 years out are absurd, and as realistic as a camera claiming to take a picture of you when you’re older. Liberals love legislation. Obamacare is great when you want 2,700 pages of it in one bill. Solicitor General Verrilli has been given a hard time for his stammering incoherence during his arguments before the Supreme Court, but it’s not his fault. Any argument made in favor of Obamacare’s constitutionality was going to be blurry. “A large, out-of-focus monster roaming the countryside” describes Obamacare to a T.
This entry was posted in Comedic Bias and tagged IPAB, media bias, mitch hedberg, ObamaCare, Soup of the Day, Verrilli by BiasBreakdown. Bookmark the permalink.